Have you ever experienced a Tony Robbins event? The entire room is electrified from the moment Tony walks on stage. And that energy doesn’t fade—it surges right to the climactic end, a culmination of wisdom-sharing, revelation, and engagement that is unparalleled. Yes, Tony Robbins is charismatic and energetic—he inspires confidence and is eminently likable. But there’s more to the success of his events than speaking points. Each element of Tony’s conferences is masterfully choreographed, ensuring that his work/speaking is as impactful as possible. Many people in the business realm—including you—want to deliver the same kind of electrifying experience. It doesn’t matter what your niche is; the potential impact of a well-executed event for clients, prospects, and employees is enormous. 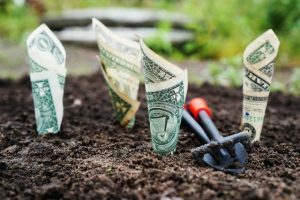 It could mean $10k more in sales; an unparalleled boost in project completion speed; or a spike in networking contacts that doubles your industry influence. Hosting successful events is important. Unfortunately, many business leaders don’t put ample effort into making sure they happen flawlessly. But don’t worry. If you’re keen to host your own successful event, consider these insider tips from the event planning experts at Early to Rise (who have masterfully orchestrated dozens of small and large-group events). 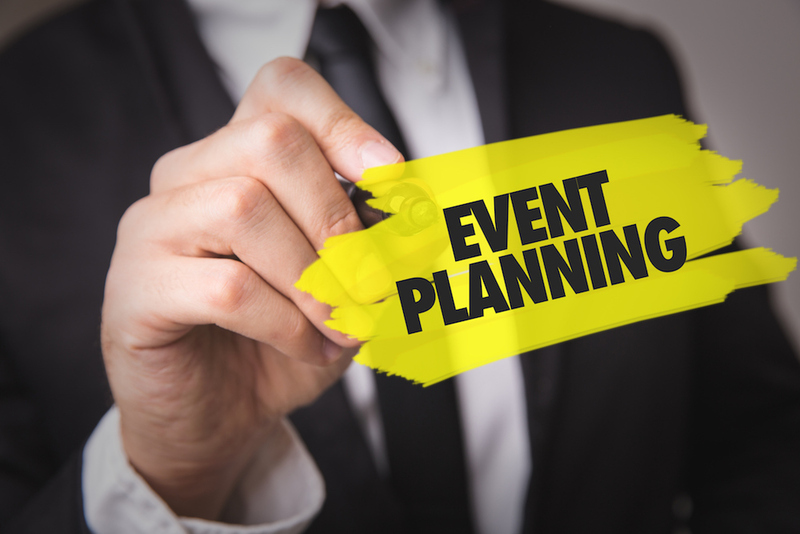 Before you go gung-ho planning details for your event, make sure you know what you want the outcome to be. This will help determine the agenda, the possible speakers, etc. For example, a TEDTalk goal is simple: The introduction of a new idea or education about a little-known concept. That’s it. Because the event requires a speaker, a large audience, and passive reception of information, a theater-like setting is ideal. There’s no need for scheduled small group time or handouts on information. Ask yourself: What’s your ultimate goal? To get more customers? To encourage and educate your employees? Writing this down in concrete terms—as it aligns with your brand’s mission and vision—will help you determine event size, speakers, location, agenda, and logistics. How will you be delivering your action items and new ideas to participants so that they are clear and memorable? Will group conversation or activities be involved? How will you ensure your ideas/action items will be clearly linked with your business or brand? Will you included branded products or presentation materials? How will you encourage continued engagement with your business/brand? What opportunities will you tease that will have value to everyone in your audience? Depending on the desired outcome, you may need a very specific venue. If you’re aiming for absorption of information (lecture or speaker-style event), then a space with an elevated stage and classroom-style seating would be fine. If you want small group engagement, round tables seating 5-10 people each would be appropriate. Alternately, if you want a “mastermind”-style event wherein everyone shares information with everyone else, eye contact with each attendee is important, and the number of attendees is likely to be low, then a U-shaped or semi-circular setting of chairs around a white board or presentation screen is ideal. Some of the specific elements of the venue will be determined by the event agenda, so let’s dive into that. The first rule of agenda-setting for events is to segment out presentations into sessions. These sessions shouldn’t run more than 90 minutes; anything longer and you’ll lose your audience. As you consider your ultimate event outcome, draw up an outline of sessions that tell a story. Ask yourself if each session contributes something a) innovative and b) actionable that also moves the story along. At the end of the conference, the story should have a resolution (outcome) that is clear to both you and the attendees. Be sure to include regular breaks and make it clear what those breaks are for. If you have a 15-minute break mid-morning, make it known that it’s to refresh coffee (if that’s available) and to go to the bathroom. Also, keep in mind what facilities your venue has to offer; if there are limited restrooms, for example, extend restroom breaks so that everyone has a chance to go. Also, if you are not supplying food/beverages to attendees, try to add break times that give them a chance to get something to eat and drink outside the venue. Lastly, plan for an afternoon crash. Insert a break with an option to get coffee, or just to get up and move around. Post-lunch, many attendees will start to nod off around 2 or 3pm, so you’ll need to give them a reason to stay engaged through the end of the day. Oh—and no matter how much information you have to share, avoid stretching your conference over more than 3 days. It becomes difficult for people to take time off work and be away from family if you make it any longer. There are two parts to this—one is the geographic location and the other is the hotel/venue. First, consider your ideal or most likely participant when you pick the geographic location for your event. Make it easy for these people to travel to the event. Is it easily accessible by plane, train, or car? Is the location expensive? Is the weather a potential issue? If you’re hosting a multi-day event, also think about where the venue is located. It’s best if your conference is held inside a hotel where you can book a group block of rooms where attendees can stay. Pricing this out can be a challenge, but there are some good guidelines to follow that will help make it easier (and cheaper). Most conferences will offer, at the very least, beverages to keep their attendees energized and hydrated. Consider budgeting for a coffee or beverage bar in or near your venue so that attendees can easily refresh their drinks during breaks. If you’re considering offering food, know that in most cases you’ll have to work with the onsite banquet team. They’ll provide menus for you, but that doesn’t mean these are set in stone. If you see an ingredient on the menu, it’s likely the hotel can work with you on customizing the menu using that ingredient. For instance, if you see halibut on one dish and broccoli on another, you can suggest creating a dish with both. Also, it’s wise to know your attendees’ dietary preferences. If they’re a meat-and-potatoes crowd, negotiate with the banquet staff to cut dessert or bread from the pre-set menus and tack on some more protein options at the same cost instead. Lastly, consider the option of a cash bar for networking opportunities. You can limit the kinds of alcohol are available at the bar—to avoid over-indulgence—and also limit the amount of time that bar is available to attendees (an hour or so should do it). An evening happy hour or networking primer with alcohol can be very successful, so consider adding this to your hotel contract. Most conferences incorporate various presentation materials and handouts into their sessions. While bigger hotels will often have onsite printer services (like FedEx-Kinko’s), they will likely charge a service fee. To keep costs low, it’s best to prepare your presentation materials ahead of time and either bring them with you or have them shipped to the venue. If you’re in need of A/V equipment, the hotel can often provide it for you—at a steep rate. 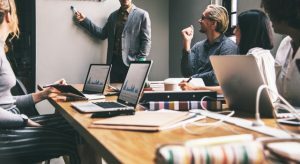 Most hotels contract this service out to third parties, which is beneficial if you need a done-for-you solution (including onsite event support). But given the cost, it might be best to consider what you actually need and bring your equipment with you (if the hotel allows this). If you want to bring your own equipment or hire a third-party team to handle A/V, confirm that the hotel will allow it—many have strict rules about who they allow in to handle tech setup for conferences and meetings. If your event is focused on attendee networking, you should plan for small group conversations throughout your sessions and breaks. You can even include prompts for discussion. If, however, you are the speaker/educator and want to make time for engaging one-on-one with attendees, don’t leave that to chance. Yes, casual and organic conversation can be good, but it’s recommended you set aside some time outside of sessions when attendees can talk to you directly. Consider setting up a booth or station outside the venue where attendees can ask your questions or chat during designated times outside of agenda sessions. While social media is great for promoting brands, the best way to build up interest in an event is via email. Consider asking your email lists for some level of commitment before all of the event details are ironed out, i.e. building an event “hotlist” by enticing prospective attendees with discounted tickets, swag, and other perks. As the event nears, you can build excitement by teasing bits of the agenda and information on keynote speakers. Also, create a hashtag for the event that attendees can use both during the event and after. 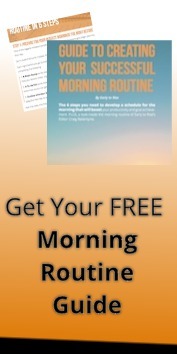 This will help keep the momentum going and help with marketing for your brand. You can even reuse the hashtag the following year (if the event is annual). Whatever your event is, be sure to take the time to follow up with ALL attendees afterward. It can be as simple as a short email thanking them for attending, and offering any event materials in digital format that would be useful to them. This kind of connection keeps your company top-of-mind, while also encouraging future engagement with your brand. If you’re ready to dive into planning your event, start drawing up your session (story) outline and research certified event planners in your city. There are also national organizations with online directories that you can reference if you’re looking for more specific support—such as NACE (National Association of Catering and Events). 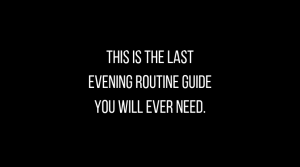 Most importantly, remember that you can only plan so much. Go with the flow, and be ready to troubleshoot when things don’t go according to plan. Nobody expects perfection, and will applaud you for handling mistakes with grace. Also, complete an after-action report and make note of where things worked well and where they didn’t. These notes will be an indispensable reference for you as you plan future successful events. 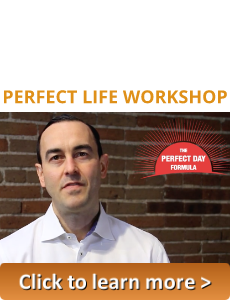 Speaking of events, are you interested in VIP discounts to the 2018 Perfect Life Retreat? >>> Sign up now for $500+ in gifts! 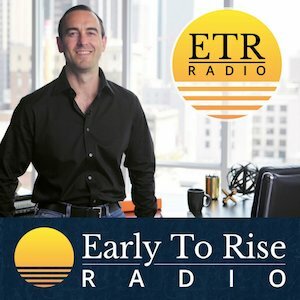 Jeff Steen is the Associate Editor of Early to Rise. Previously, he worked in food and hospitality journalism, but is currently focused on bringing unique, insightful content to the ETR world.